High-quality, mobile projector for the home and office with 3LCD technology, SVGA resolution and flexible, easy-to-use features. The whole family will enjoy this high-quality, versatile projector. Whether watching films and family photos on a big screen or delivering crisp, clear presentations, the stylishly-designed EB-S04 is ideally suited for both the home and office. Easy to move and quick to set-up, users can start watching exceptional-quality content in no time at all. Create a spectacular cinema-style occasion for friends and family and enjoy high-quality images on a huge screen up to 300+ inches1. Films, sporting events and once-in-a-lifetime spectacles will all appear sharp and clear thanks to a high Colour Light Output (CLO), meaning colours are bright and vivid, even in brightly-lit rooms or outdoors. 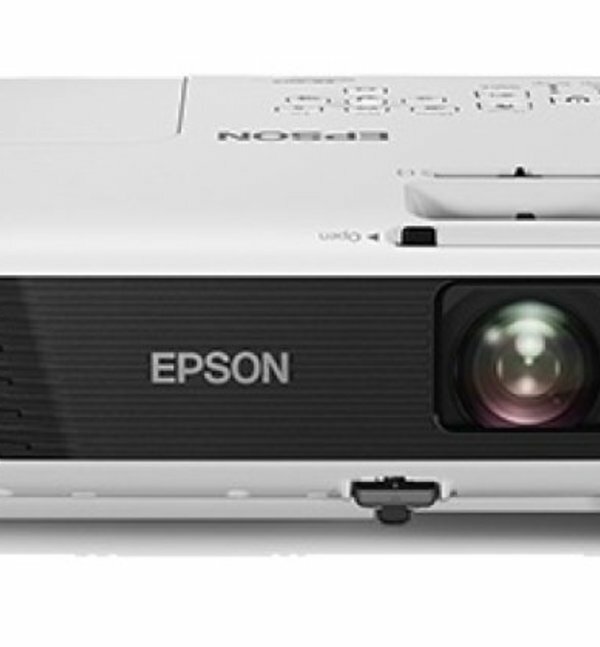 In fact, Epson projectors are up to three times brighter than competitor 1-chip DLP projectors2. With a wide range of options available, Epson is sure to have the right projector to deliver the ultimate viewing experience.